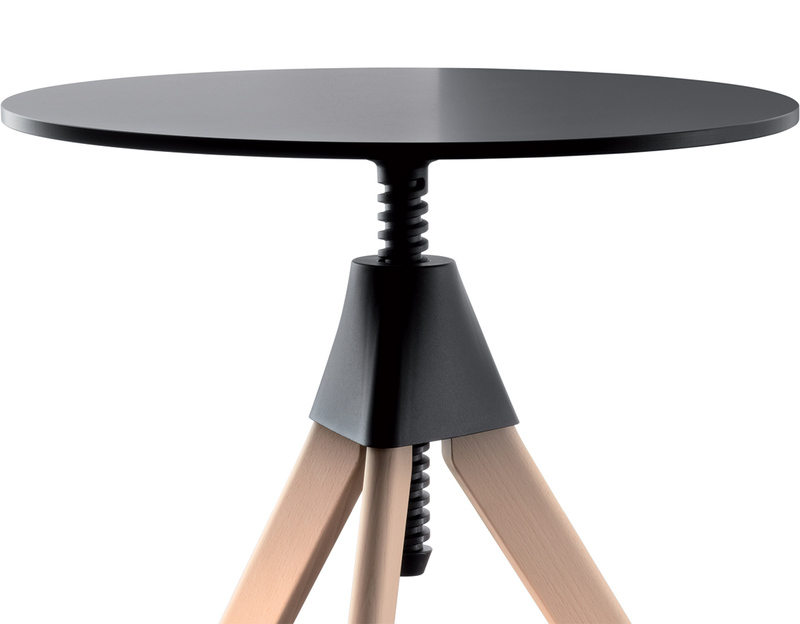 Topsy adjustable height table is part of the wild bunch series by Konstantin Grcic. 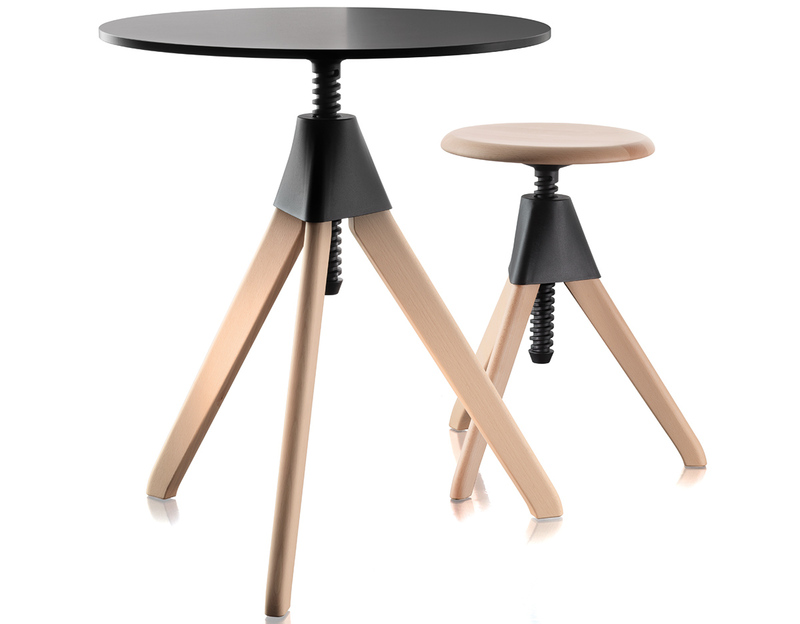 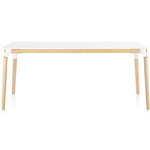 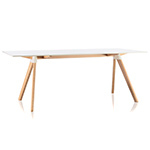 The three-legged table is made of solid beech wood with mechanical parts in plastic. 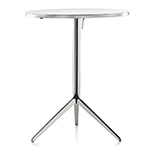 Because of its smooth-running mechanism, the table is easy to adjust and convenient to use in various settings. 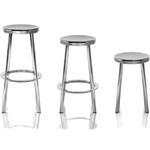 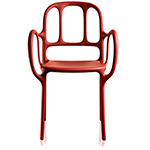 Topsy is a versatile addition to working, recreational and private environments alike. 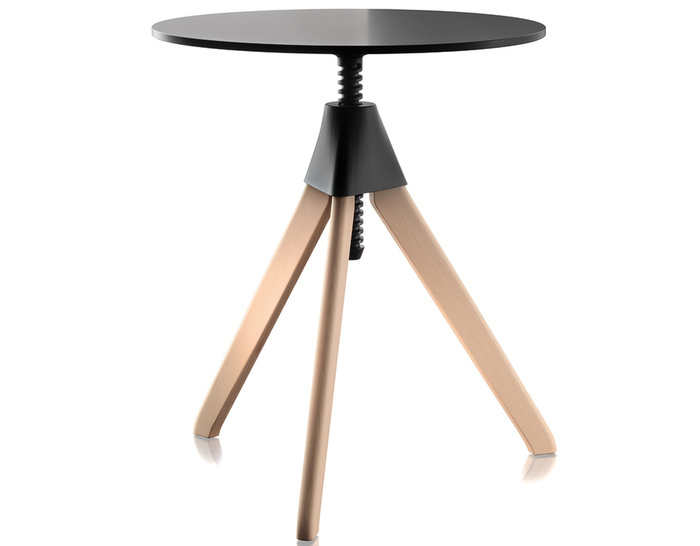 It can serve as an adjustable table in a nook, as a multi-use piece for a restaurant, or as a table for children in kindergarten. 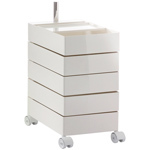 $650.00 + free shipping in the continental U.S.